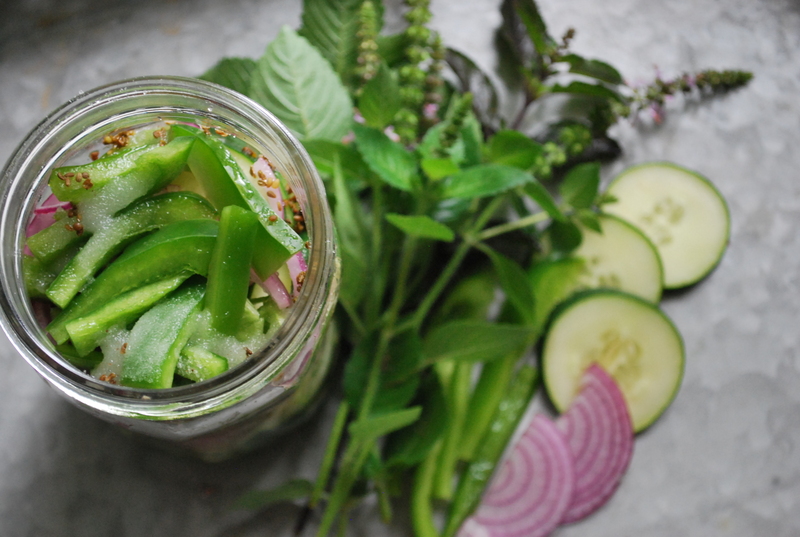 I love making summer quick pickles with vegetables from my garden. Fresh, homegrown tulsi comes into season alongside summer favorites like corn, tomatoes, and cucumbers. It also goes well with all three in recipes. 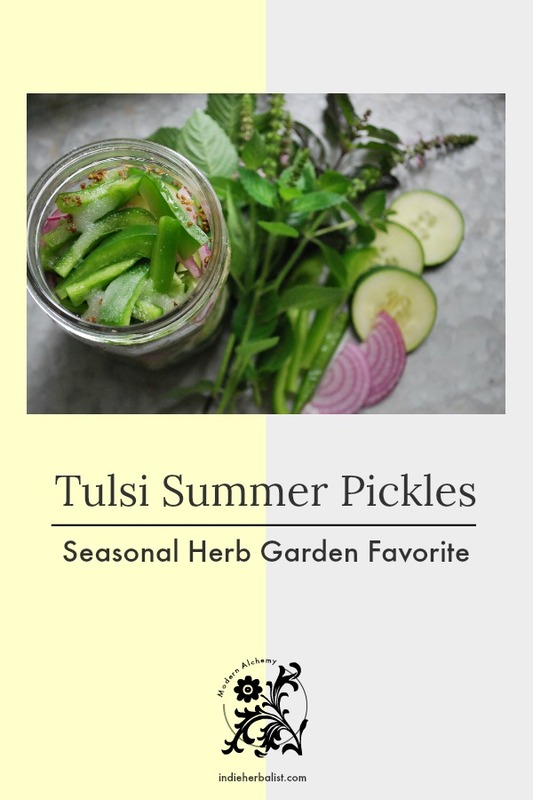 You’ve probably never thought of using tulsi as an ingredient in summer quick pickles, but once you try it. . . you’ll be hooked! This recipe is from my new e-book, Tulsi for the Garden, Kitchen, and Home Apothecary. This quick pickle recipe is based on one my grandmother made every summer when family came to visit. Instead of using the fennel seed that Grandma June used, I use fresh tulsi and a dash of anise seed. We have a large family, so she always made it in gallon jars, but this version fills a quart jar. Be warned, though- it’s so good and easy to make that you may find yourself doubling the recipe! 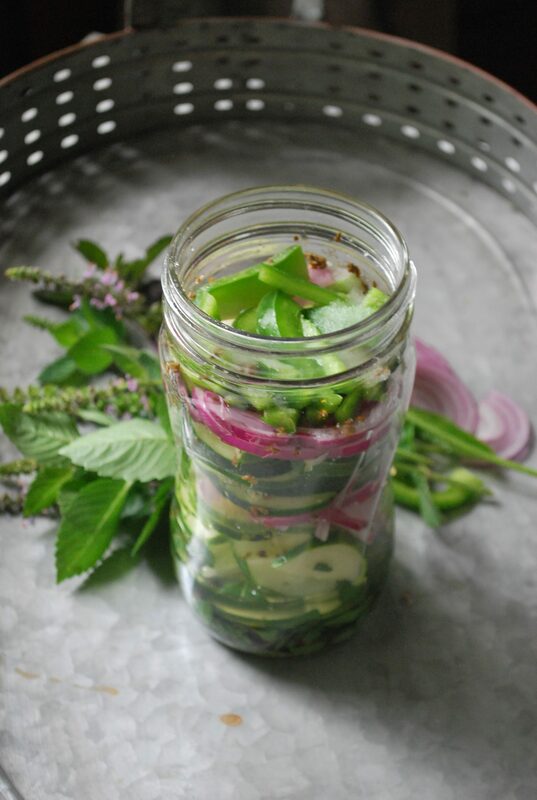 Pack the cucumbers, tulsi leaves, onions, and green peppers into a quart canning jar. Sprinkle in the anise seed, then add the sugar and salt on top of the other ingredients. Pour the vinegar into the jar. The vinegar will not cover all of the ingredients, but there’s no need to stir. As the salt and sugar dissolve, they will help pull liquid from the cucumbers. Screw the lid onto the jar and allow it to sit in the refrigerator for at least 24 hours before eating. Enjoy within a week. Don’t forget to download your copy of the e-book over on Amazon. 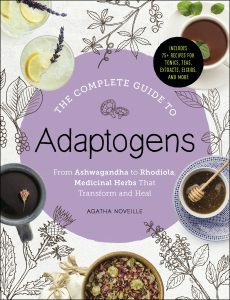 You’ll find instructions for making tulsi extract and glycerite to stock your home apothecary, and lots of details for growing tulsi in your herb garden. I’ve also included five more easy and delicious recipes to make with your homegrown tulsi. In case you missed it, I posted another recipe from the book yesterday. 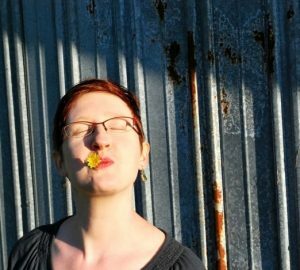 Be sure to check it out – it’s a recipe for a tulsi tumeric latte!